One of my favorite and most inspiring experiences here at Addiction Therapeutic Services (ATS) is the time spent with clients exploring the natural wonders in the Palm Springs area. When I get to be a part of the wonder, the connection, the awe that a client or clients shares when first introduced to the beauty of a desert mountain oasis with a natural waterfall, Big Horn sheep in their natural environment only 50 feet away or just being in nature for a brief time, I am always amazed at the connectivity experienced within the group. The labels of addict, depression, anxiety or whatever just seem to disappear. Tahquitz Canyon, Murray Canyon, Thousand Palms Nature Preserve, White water Conservancy, Los Rios Rancho and The Santa Rosa Mountains Interpretive Center are just a few of the places we go to find simplicity and inner peace. Experiential outings are part of the comprehensive, person centered treatment here at Addiction Therapeutic Services. Please enjoy the following photos and don’t hesitate to contact us. There is something very comforting about being around others who share a common challenge. This is the reason why addiction treatment programs emphasize both group therapy, in outpatient and inpatient settings, and the 12-step recovery groups. Sharing individual experiences and struggles with peers provides a powerful dynamic for healing and support, especially in the early months of recovery. One of the most compelling social support venues for helping overcome addiction is the Alcoholic Anonymous (A.A.) 12-step program. With 12-step meetings plentiful in the Coachella Valley region, A.A. in the desert can be an essential treatment element for months and years to come. Outpatient rehabilitation is a popular addiction treatment option, allowing a certain amount of flexibility that accommodates individuals with work or family obligations. Outpatient treatment is also much more affordable, as the client will reside in their own home outside of the treatment hours. Studies have shown that an intensive outpatient program (IOP) can be just as effective in treating addiction as an inpatient program. An outpatient program is also a step down for those who have concluded their residential treatment program but want to continue with ongoing therapy. A.A. is a worldwide nonprofit peer recovery program that was founded in 1938 by two Americans. The program encompasses 12 steps that guide the individual toward spiritual awareness or awakening through principles that are woven throughout the steps. The “Big Book” is the blue A.A. basic manual with recovery stories and information that most who are in recovery will access. Currently, there are approximately 2 million members globally within the A.A. fellowship program, with 12-step meetings available in most metropolitan areas. The beauty of an outpatient addiction treatment program is the ability to design the treatment plan according to needs. Outpatient rehab can involve a minimum of hours weekly for continuing care needs, or up to 30 hours per week for an IOP. The IOP is the better option for entrenched addictions with or without a co-occurring mental health condition, as it provides a deeper involvement in all aspects of therapy. The 12-step program has become ubiquitous with addiction recovery for decades. It’s success is attributed to the element of peer or social support that results from the fellowship format of the meetings. Because there is no fee involved, and meetings available across the nation, A.A. meetings can become an important tool in sustaining recovery. Members can access as many meetings as they desire or need, as well as obtain a sponsor who can help them through the rough patches. Another powerful aspect of A.A. is the element of service to others. It has been found that those who offer support to others, either by becoming a sponsor or volunteering at A.A. events or meetings, can help solidify their own recovery. Because of this, service to others is highly recommended for individuals with at least one year of sobriety. 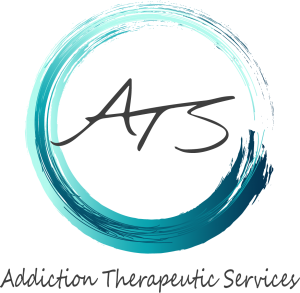 Addiction Therapeutic Services (ATS) provides group counseling, individual therapy, family programming, 12-step programming, and life skills training in Rancho Mirage, California. ATS creates a totally tailored treatment plan for each individual client, and integrates experiential therapies throughout the program. These include mindfulness training, art therapy, process groups, and anger management, to name a few. For more information on the ATS outpatient program, please contact our team today at (760) 349-7007. If you know you need to get help to quit drinking but are terrified of the detox process, understand that while the short-term may look scary, the long-term benefits of sobriety will far surpass the few miserable days in detox. There is no arguing that alcohol detox is intimidating. Anyone who has attempted to stop drinking on their own can attest to the highly unpleasant withdrawal symptoms that kick in soon after. But by understanding the effects of alcohol withdrawal and the importance of a medically monitored detox, you will soon grasp that detox is indeed manageable in a supervised setting. One of the biggest deterrents or obstacles for an individual who sincerely desires to break free from the grip of alcohol dependence is the prospect of going through detox. Indeed, there are certain unpredictable, and potentially dangerous, withdrawal symptoms that can suddenly come into play. For this reason, alcohol detox deserves its reputation as the dreaded first step of recovery. The severity of these symptoms will be dependent on a host of factors, including the duration of alcohol abuse, the level of alcohol consumption, the health of the individual, and if there is a coexisting mental health condition present. The most important takeaway with regard to alcohol detox is not to attempt to undertake the process on your own. Severe alcohol withdrawal and the importance of a medically monitored detox should not be ignored. What Is a Medically Monitored Alcohol Detox? Upon arriving at the detox facility you will be thoroughly evaluated. Health history, addiction history, and mental health history will be assessed in an effort for the medical provider to properly prepare for the potential symptoms during your detox and withdrawal. The goal of assisting with alcohol withdrawal, and the importance of a medically monitored detox, is to minimize discomfort, provide emotional and medical support, and to supervise changes in health status during the detox phase. Withdrawal symptoms emerge within a few hours and will intensify on days 2-3. In most cases, a benzodiazepine (Ativan or Valium usually) will be provided to help reduce anxiety and the possibility of seizure. In addition, medication is offered for nausea, gastrointestinal distress, fever, and headache. Some detox facilities also provide some holistic therapies, such as guided meditation, yoga, or massage, to help promote relaxation and comfort during detox. Potentially dangerous withdrawal symptoms may occur on days 4-7 of the detox period. This possibility underscores the importance of only attempting to detox in a supervised environment, as the DTs can be life threatening. Generally, alcohol detox is completed within 7-10 days. Addiction Therapeutic Services (ATS) is a premium outpatient treatment program located in Rancho Mirage, California. Against the beautiful setting of the California desert, ATS provides a safe, supervised medically monitored detox for individuals desiring to overcome an alcohol use disorder. Following the detox and withdrawal phase, ATS offers a highly effective addiction treatment program that integrates various evidence-based therapies with holistic practices that treats the whole person—mind, body, and spirit. The expert ATS clinical staff is second to none in training and experience in the field of addiction treatment, offering compassionate, targeted therapy to its clients. For more information about how ATS can assist you through the alcohol detox phase of recovery, please contact us today at (760) 439-7007. So, you were driving and got pulled over and now you have a DUI. The fear of getting a DUI no doubt has your mind running to all the different possibilities. Don’t be overwhelmed. Many have been here before. You may be asking yourself am I going to go to jail? How much is this going to cost me? What about my job? Can I go to rehab instead of jail?. Becoming familiar with your local DUI laws is a good place to start. You will want to get a good idea of what your local “mandatory minimum sentences” and sentencing requirements are. Local laws differ drastically especially by state. Some states, California for example, institutes separate punishments and requirements by both the local court and the DMV. It is important to take in to account the severity of the DUI. Severity of charges can depend on, level of intoxication, if a controlled substance was involved, if there was a prescription for the substance, prior arrest history, if anyone was injured or any property was damaged, and many other factors. Judges typically look at a number of factors when deciding a sentence. Judges are tasked with protecting the general public,and assuring that those that violate the law are penalized for criminal offences. Put yourself in the judge’s shoes and look at two cases. Case 1: Person 1 gets arrested for DUI. Person 1 denies having a problem with substance abuse and does not attend treatment of any kind. Person 1 proceeds through the common procedure and waits to see the judge. If you were the judge, considering that protection of the public is one of your main focuses what would you think? Perhaps this person is in denial of their substance abuse problem. Perhaps this person isn’t even aware that they might have a problem with substances. Or perhaps this person doesn’t respect the law. Either way the judge is more likely to send person 1 to jail to consider these questions. It’s an “open and shut case”. Let’s look at person 2. Person 2 was arrested for a DUI. Person 2 contacts a local Rehab. Person 2 is actively attending rehab and has a letter from the facility showing that they are working on themselves. Person 2 is showing the judge that there was a problem, but they are being proactive toward making sure it doesn’t happen again. Person 2 is already working to resolve the problem before they even meet the judge. Person 2 is more likely to address their DUI Rehab Instead of jail. Judges and prosecutors want to see people making an attempt to correct their mistake. Otherwise, it is their job to punish those people in an attempt to “right the wrong”. Looking at the DUI as a problem is easy to do. Getting a DUI is a disruption to your many areas of your life including, legal, financial, personal relationships. Focusing on the negative will only cause more stress and anxiety. A better way to look at your DUI is an opportunity for growth. Take some time to look at your life and work on yourself. Going to Rehab instead of jail can be a blessing in disguise. Seeing the flashing red and blue lights behind you is only a small part of the problem. While a fair portion of people who get a DUI are “unlucky” most have underlying problems. In 2014, 10.1 million people reported driving under the influence of illicit drugs. The Average number of people arrested annually for drunk driving is 1,500,000. Substance abuse clinicians overwhelmingly agree that a DUI arrest is a strong indicator that treatment may be needed. If you or a loved one has been pulled over for a DUI, whether it was your first offense, second, or more, we can help. Our clinical team provides in depth substance abuse evaluations, outpatient treatment and therapy, and recommendations for treatment. Call our Admissions Team to learn more about the benefits of DUI Rehab Instead of Jail and for a free and confidential assessment at 760-349-7007. Addiction counselors hold an intrinsic and essential role in the treatment team of a drug and alcohol rehab program. Without the help of an addiction therapist, treatment would only touch the superficial aspects of the substance use disorder, those things you can see with your eyes. In order to delve into the possible drivers of the addictive behaviors, targeted psychotherapy along with group therapy help identify causal factors—such as trauma, mental health disorders, grief and loss, for example—that can be parsed out and treated. The important skills of an addiction therapist Los Angeles are powerful tools that can help show the individual struggling with substance abuse and addiction how the painful deep-seated issues can be resolved. Offering someone a new way of thinking about and responding to certain triggers that have held power over their subsequent behaviors is one of the most effective skills therapists provide for a successful recovery. The most challenging aspect of addiction therapy is not getting the person off drugs and/or alcohol, but the identify and make productive changes in the factors that threaten recovery. Many who battle addictions have used the substance to soothe emotional discomforts caused by psychological and social factors. These root causes, which contribute to subsequent compulsive substance use, must be addressed and treated if therapy is to be successful. An effective addiction therapist understands how stress, difficult relationships, social influences, and emotional strife can quickly undo the efforts to become sober and lead to relapse. Arming their patients with new coping skills and interpersonal tools is key to a sustained recovery. Cognitive behavioral therapy (CBT) is a short-term and highly effective therapy that is used widely in addiction treatment. A CBT therapist will meet one-on-one with the client to guide them through the process of identifying the thoughts, moods, and situations that can result in them using a substance as a coping mechanism. Once the root triggers of the using behavior are examined, the therapist will show the client how to change the thought and behavior patterns towards positive, productive ones. CBT skills, once adopted and practiced, can assist the individual for a lifetime, not only in avoiding drugs and alcohol but also useful in situations that may come up in other areas of life. With CBT tools, instead of a substance being the reflexive response to a difficult person or dilemma, rational, healthy responses will be. CBT coping skills also help build a strong relapse prevention blueprint. Addiction therapists serve in many capacities in addition to individual counseling. Group therapy and family therapy are two very effective therapeutic settings that allow the therapist to observe the client’s social dynamics and communication style. During group sessions, peers discuss a topic presented by the therapist, who will guide and moderate the discussion. The peer session is important in early recovery, providing both social support and fraternal correction when needed. Family relationships can be a primary source of both loving support and serious challenges. A family therapist can identify dysfunctional behaviors among family members and help make productive changes, especially with regard to communication techniques. Helping the family restore trust with the addicted family member is a vital role of the family therapist, which involves making amends and steps that demonstrate trustworthiness. Addiction Therapeutic Services is an intensive outpatient program located in Rancho Mirage, California. ATS provides CBT, an evidence-based therapy that helps clients change their disordered thoughts and behaviors that fuel addictive behaviors, replacing them with new, healthy responses. ATS clinical team includes master level therapists, a physician, and licensed counselors to help guide you or your loved one to a healthy, productive life. For more information about our program, contact ATS Admissions today at (760) 349-7007. One of the biggest deterrents to obtaining the help needed for a drug or alcohol problem is the idea that you will have to leave your home and job for an extended period of time. Most people simply cannot take a long leave from their daily obligations, so they mistakenly believe that treatment is not an option for them. Not true! An excellent alternative to an inpatient or residential treatment program is the intensive outpatient program (IOP). The IOP offers many of the same treatment services of an inpatient program but with the flexibility needed to continue to work and take care of family responsibilities while going through treatment. Because the IOP allows you to reside at home, the costs are much lower than an inpatient program. An IOP provides essential treatment services for the treatment of drug and alcohol abuse or addictions. A comprehensive clinical assessment is the first step of the IOP journey. This is the process that gathers important information regarding the substance use disorder—length, severity, and type of drug—as well as psychological and general health status. The admissions coordinator reviews the information and will determine if you are a candidate for the IOP, or if inpatient care would be a better treatment fit. If detox is needed, a referral to a detox facility or coordinating an at-home detox is arranged. The individual must be completely free from the substance of abuse before beginning treatment. A treatment plan will be created that is customized for your specific treatment needs, with benchmarks that will determine the course of treatment. An IOP may start off requiring 20 or 25 hours of participation and treatment per week, but then step down as the benchmarks are reached and a lesser degree of participation is needed. Case management is updated and refined as treatment progresses. IOPs typically require the individual to attend a weekly individual therapy session where a deeper exploration of possible past traumas or other sensitive issues related to the development of a substance use disorder. In addition, participation in a 12-step or non 12-step recovery group is usually mandatory. Psychoeducational groups that promote life skills, relapse prevention planning, ongoing addiction education, peer support groups, and stress management. Interpersonal process groups that involve issues that are of a sensitive nature, such as gender issues, criminal histories, and past traumas. Family Program and groups that encourage family members to hash out past resentments, to rebuild trust, understanding co-dependency, and to learn new effective communication skills within the family. Enhanced treatment services are what differentiate the various IOPs. These enhanced services might include holistic therapies, recreational activities, music/dance/art therapies, meditation and yoga, transportation services, and job skills programs. A recent study published in the APA’s Psychiatry Online offered sound evidence of the effectiveness of the IOP as a treatment option. This meta-study culled results from 12 different studies published between 1995 and 2012 to determine just how well the outpatient model performs in the recovery milieu. In analyzing the data, the authors found that outpatient treatment programs offer the same degree of effectiveness as inpatient programs for most individuals. Citing comparable outcomes between the IOP and an inpatient rehab, the authors reinforce the viability of choosing an IOP for effective addiction treatment.